No one is disputing that December was one of the worst on record for Europe’s ski resorts. Naturally this drew some unhelpful headlines from some of the nationals, who realised they could generate some cheap schadenfreude in the middle-classes. 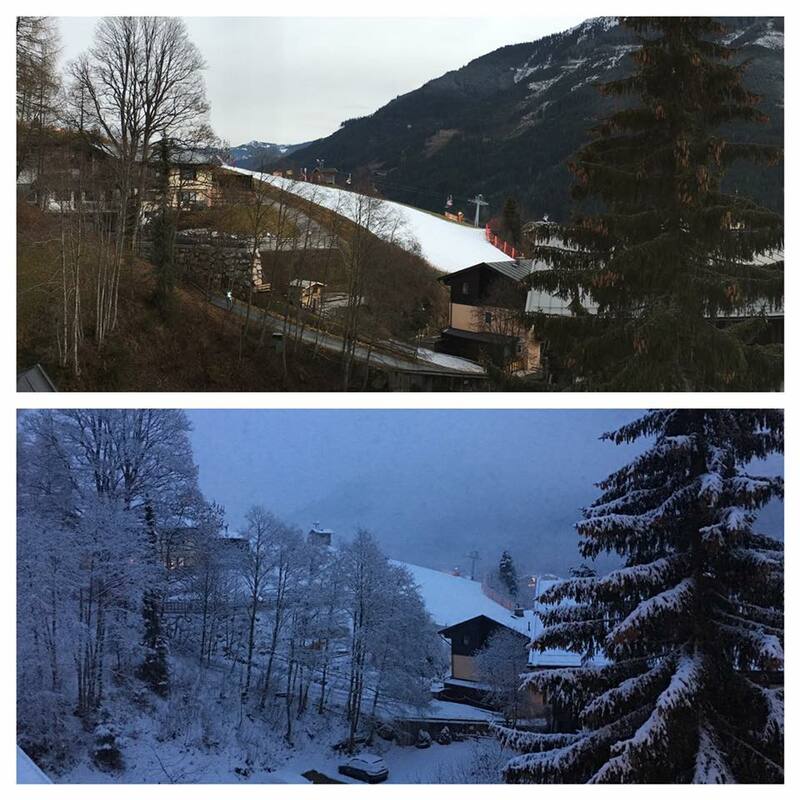 Although it hasn’t snowed uniformly across the Alps, most resorts are set for the season and even those with less snow are still in pretty good shape. 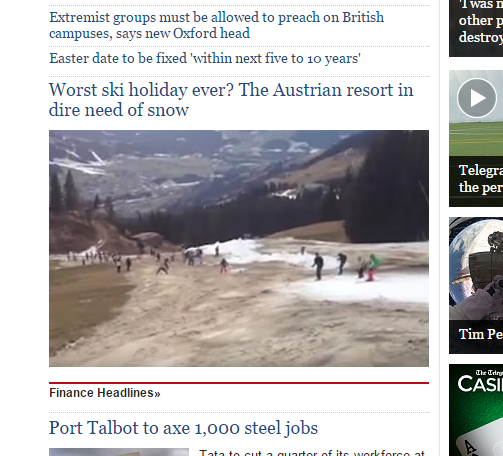 This ‘Austria desperately needs snow’ article was published on 15 January, but uses a video published on YouTube on 08 January and which would have been filmed several days before. This is a typical image from the Ski Welt Facebook page from 06 January. Of course, this doesn’t necessarily mean that the video could not have been shot elsewhere at that time, but conditions do appear substantially better. What’s so surprising is that the Telegraph Ski and Snowboard usually reports very fairly about the snow and that this particular journalist, Helen Coffey, consistently produces excellent articles. Could it have been that they were pressured into using this sensationalist video? 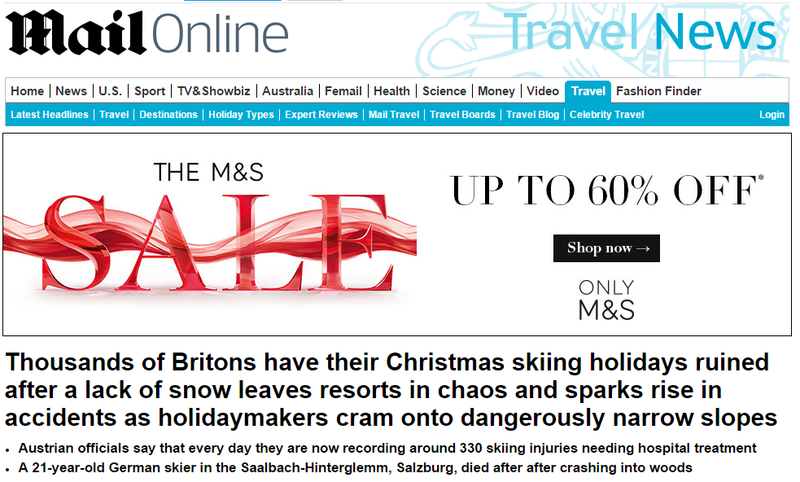 Regardless, the headline is misleading and potentially libelous to the Ski Welt area, who could argue that it impacts unfairly on their ability to sell to the British market. It certainly doesn’t help correct negative impressions of the snow situation in the less well-informed sector of the UK, following the headlines at the end of December.